Volkswagen is on the hunt for self-driving technology and recently tried to buy Aurora Innovation, an autonomous-driving startup founded by veterans of Tesla and Alphabet, according to people familiar with the matter. VW has been scouring Silicon Valley for targets or partnerships that can help it develop self-driving cars and other mobility technology. Volkswagen had talks to buy Aurora, which is already a partner, only to be rebuffed because the Palo Alto, California-based company wanted to maintain its independence and work with multiple automakers, said the people, who asked not to be named because the discussions are private. For Volkswagen, the search to purchase self-driving technology is a play to catch up to rivals that have forged ahead for several years. Alphabet’s Waymo unit is seen as the leader, and rival automakers have bought self-driving technology developers. Buying Aurora or another company would follow moves by rivals to align with AI specialists. General Motors paid more than $1 billion to acquire Cruise Automation in 2016 and Ford is investing $1 billion to take a stake in Argo AI. A Volkswagen spokesman declined to comment. Aurora, which has raised $90 million in venture capital, declined to comment. Automotive manufacturers are racing to develop self-driving vehicles to get into the business of selling transportation as a service with robotaxis, rather than just selling cars. GM Cruise attracted a $2.25 billion investment from Japanese private equity fund SoftBank Vision Fund in May, which effectively valued the unit at $11.5 billion. Aurora is the brain child of Sterling Anderson, the former director of autonomy for Tesla, Drew Bagnell from Uber Technologies and Chris Urmson, who headed Alphabet’s self-driving car project before it was named Waymo. Volkswagen and Aurora announced a partnership at the CES technology show in Las Vegas in January. Volkswagen said it planned to use Aurora’s self-driving system, including sensors, hardware and machine-learning and artificial-intelligence software, in its vehicle platforms. At CES, Aurora also announced a similar partnership with South Korea’s Hyundai Motor, which is integrating Aurora’s technology into the Nexo fuel-cell vehicle. VW CEO Herbert Diess, in the job since April, has pledged to adapt the world’s biggest automaker to accelerating industry change, highlighting innovation as a key pillar in that quest. Presiding over a sprawling 12-brand empire that includes supercars costing more than 1 million euros ($1.16 million), mass-market delivery vans and motorcycles, Diess is trying to emerge from the long shadow of the diesel-engine emissions cheating crisis. The company plans to form new partnerships or make acquisitions of software companies, Diess told German newspaper Handelsblatt in an interview this week. Volkswagen hopes to present results in the coming months, he said. Automakers’ survival will depend on mastering the digital transformation, a task even more important to tackle successfully than the switch to electric vehicles, Diess told the newspaper. VW Chief Digital Officer Johann Jungwirth left that position in July to set up a new business for the automaker in California focusing on mobility as a service. He aims to start commercial operations with a fleet of self-driving taxis in the U.S. in 2021, according to his LinkedIn profile. 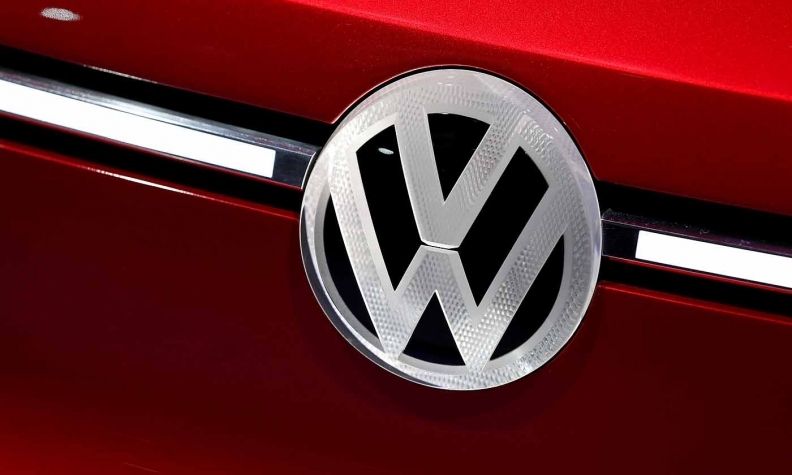 Volkswagen may have to find another player to acquire. At CES, Urmson told Bloomberg in an interview that the company’s goal is to deploy its technology into many vehicles. He said he was attracted to working with Volkswagen and Hyundai because they sell millions of cars in markets around the globe.